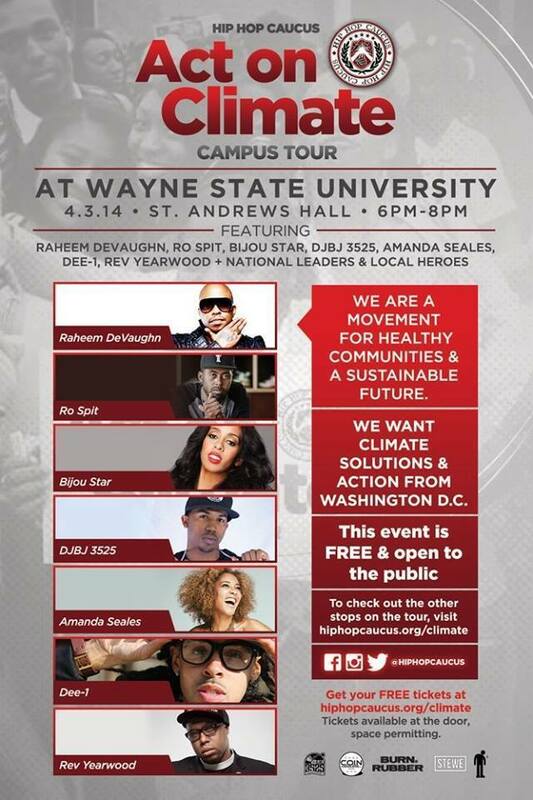 The #ActOnClimate Tour is coming to Detroit! 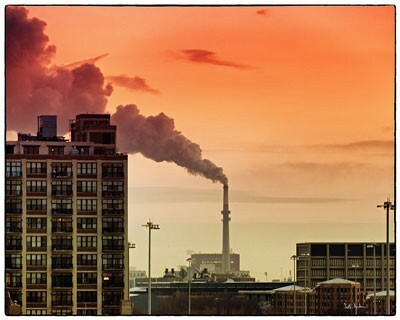 Coal plants emit harmful carbon pollution. Eighty-six percent of African Americans (6 in 10) live within 30 miles of a coal plant, which further increases their risks for health issues. The carbon pollution from the coal plants negatively impacts the health of those in low-income communities and people of color at a higher are than whites. The same pollution is causing climate change, which means more extreme weather, like Hurricane Katrina, Super Storm Sandy, extreme heat waves and droughts. There are common sense solutions available, including the President’s national climate action plan, but we must act today to let our elected officials know that we are paying attention to this issue and to the policy-making process when it comes to the President’s climate plan. We’re starting with the Act On Climate Campus Tour. Celebrities, academics, environmental experts, community activists and cultural influencers have joined the Hip Hop Caucus and are making their voices heard through the Act On Climate Campus Tour. The tour will visit six college campuses in six different cities in states so that communities can make it clear to our elected officials that we require they act on the issue of climate change. Attending one of the six campus tours [link to http://tiny.cc/toursandtix]. If you can’t come to one of the events, share the news of this tour with your networks. Hip Hop Caucus will be updating http://www.hiphopcaucus.org/climatewith stories, photos, and videos from the tour. Educating others in your community on the negative impacts of carbon pollution by joining the movement. Check out all who is involved in this movement via the hashtag #ActOnClimate on social media! Join the conversation today. The costs of inaction are high. We must #ActOnClimate today to ensure a better tomorrow.